The restaurant business is unusually fickle. Only 7% of all restaurants actually succeed and 9 out of 10 close before the end of their first year. 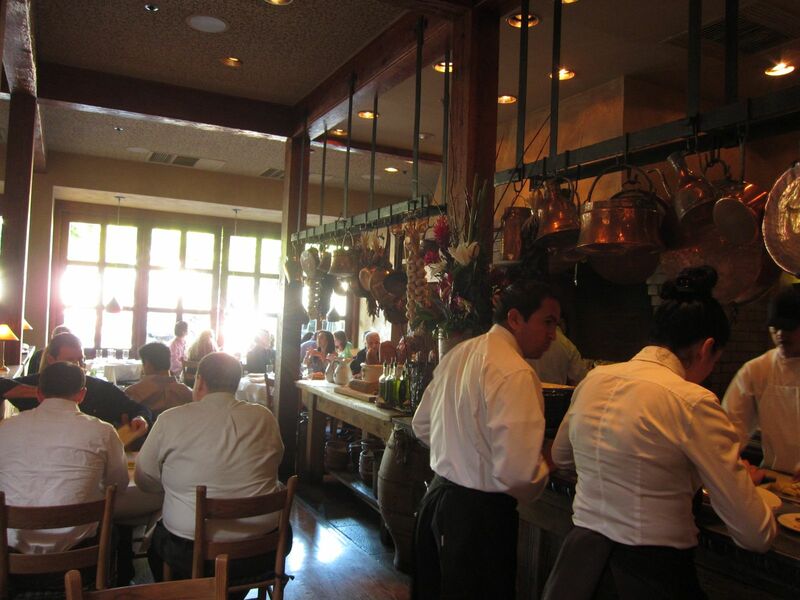 This makes it all the more incredible when you find a restaurant that has stood the test of time and flourished. Evvia is one of those rare ones. 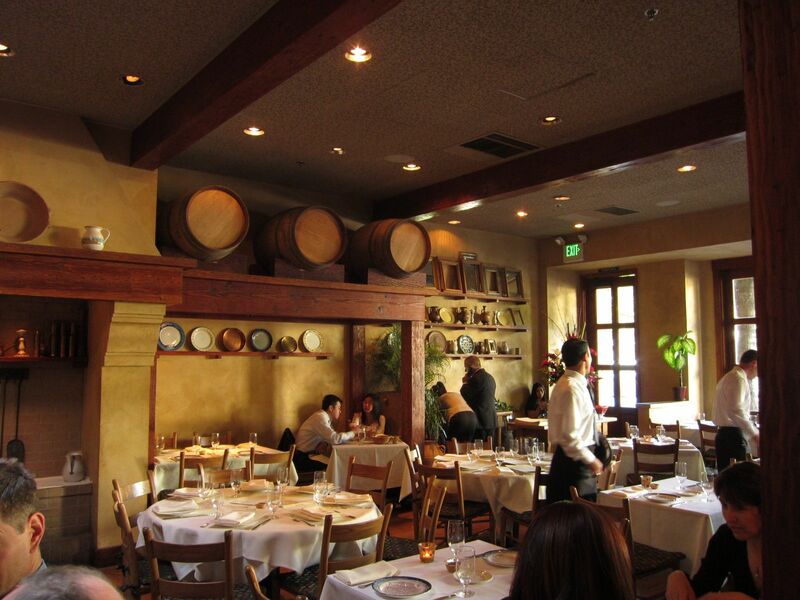 Not only has the restaurant being serving its patrons for over 15 years, it continues to be among the best in the Silicon Valley for Hellenic cuisine. Evvia is designed to look like the warm interiors of a Greek taverna with wood-beamed ceiling, stacked oak barrels, rustic pots and a huge fireplace on one side. 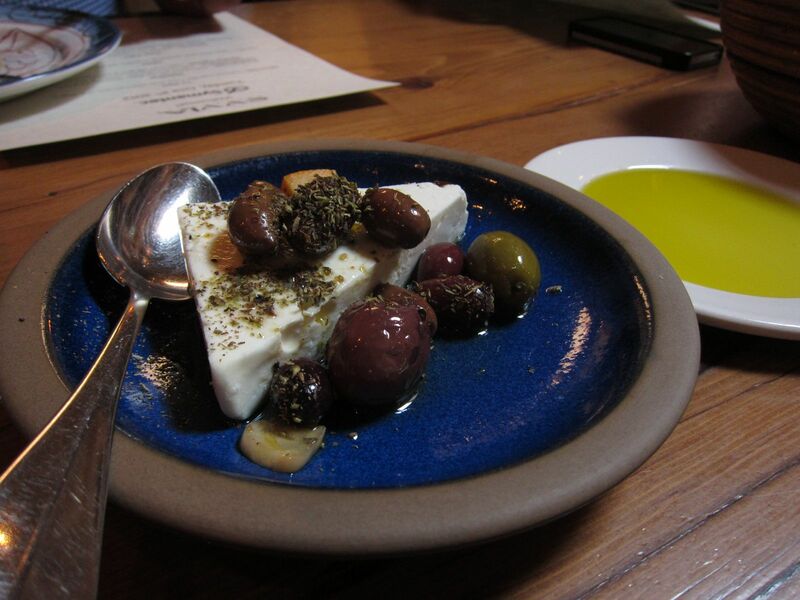 The atmosphere is casual and convivial, the waiters friendly and the food remarkable good. They started us off on a platter of Epiros Feta - imported Greek feta, mixed olives, extra virgin olive oil and oregano. It was a great way to get started! Next came a series of appetizer platters. 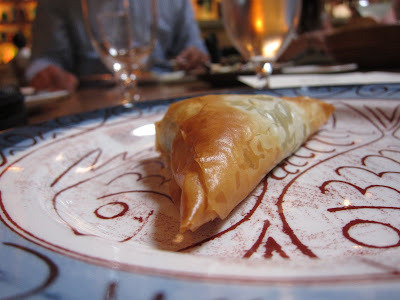 The Spanakotiropita was phyllo stuffed with wild greens, Greek feta, dill and herbs. 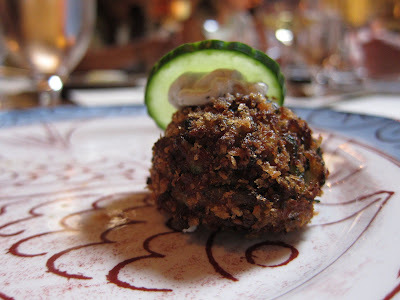 The Kolokithokeftethes, crispy zucchini cakes with cucumber and mint yogurt. And finally, Marithes Tiganites, crispy smelts with garlic and potato skordalia. 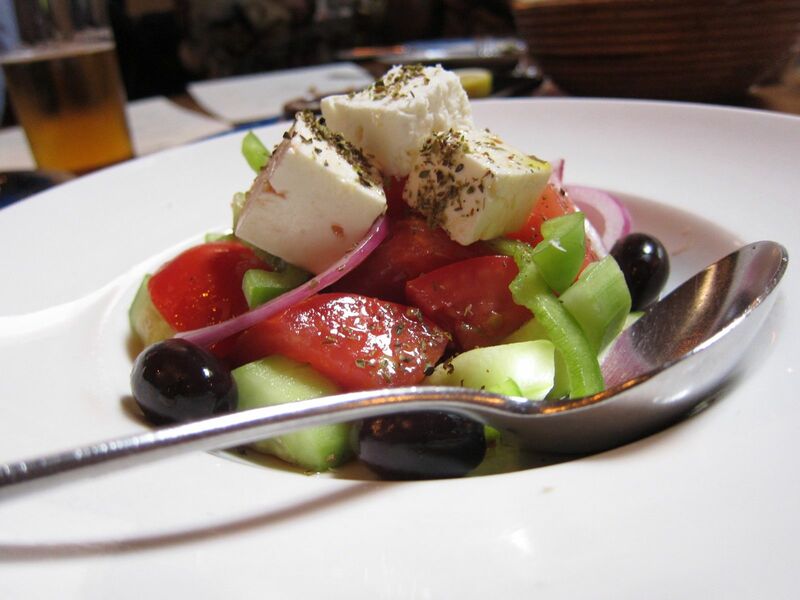 The salad called Horiatiki was classic Greek, made of diced tomatoes, cucumbers, bell peppers, onion and feta. It was however, the entrees that were the true standouts in the dinner tonight. 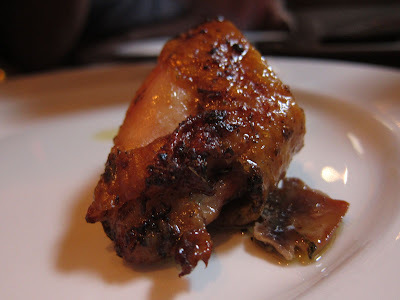 The Kotopoulo, rotisserie lemon-oregani roasted chicken was oh-so-delicious! Juicy, flavorful and cooked to perfection, chicken has never tasted this good. Then came one of their most popular dishes, Arnista Paidakia, rib-cut mesquite grilled lamb chops. 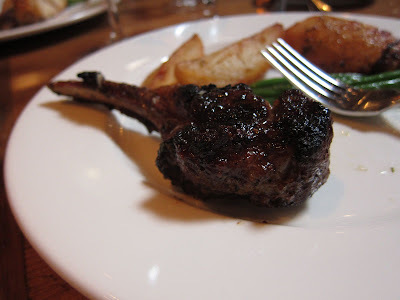 I have a thing for lamb chops, but this one clearly is several notches above those I have eaten in other places. There is also the Moussaka, a baked casserole of eggplant, lamb ragout, potatoes and yogurt béchamel. Now that may sound plain to you, but like a reviewer on Yelp! 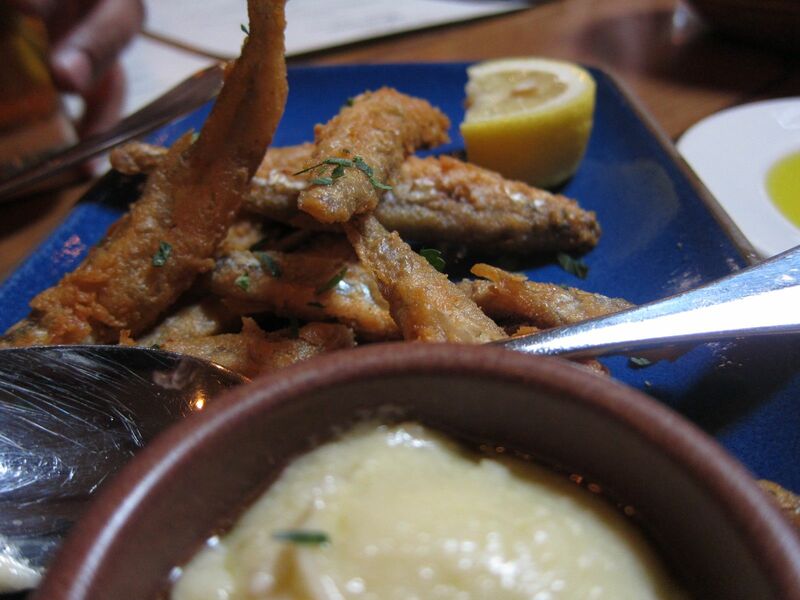 points out, if you find a simple homely dish on the menu, there is probably a very good reason why it is there. Finally, the dessert. 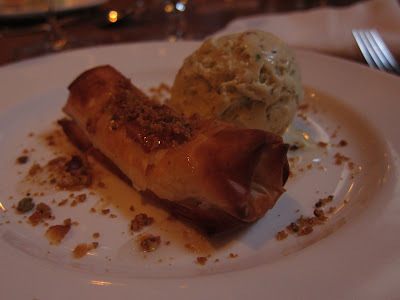 Galaktoboureko, a traditional Greek pastry, was a cigar-shaped phyllo wrapped around vanilla bean semolina custard with a scoop of pistachio ice-cream. It was a great ending to a wonderful dinner at this Silicon Valley favorite of many. Coffee lovers can order Greek coffee that is brewed over hot sand and served in the traditional way - slightly sweet and heavy in texture. 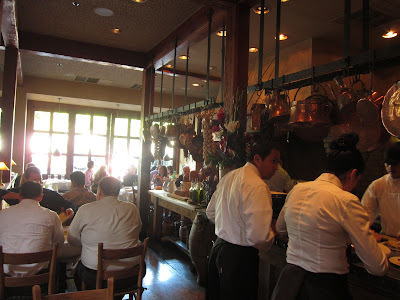 Overall, a restaurant I would love to return to and try some of the other delights on their menu. Food network had featured Soutzoukakia, grilled lamb meatballs with tomato and green olive compote, on their feature of ‘Best thing I ever ate’. Then there is the grilled octopus everyone raves about. Apparently, there is much more winners on this menu than you can polish off in a single dinner!